Perched high above the picturesque town of Positano, Villa Franca is a 70-minute drive from Naples by car. The legendary author John Steinbeck is often credited with alerting the outside world to the beauty of Positano. "It bites deep," he wrote in 1953. "It is a dream place that isn't quite real when you are there and becomes beckoningly real after you have gone." Steinbeck's words may seem hyperbolic, but a cursory glance at this mesmerizing setting proves his statement true. Villa Franca sits above the town on a secluded hilltop. 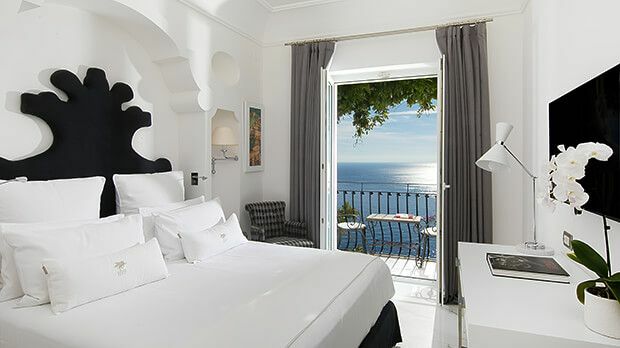 The hotel was once a private home, but the original owners decided to share their idyllic retreat with the world, creating a chic boutique hotel that exudes Italian elegance. 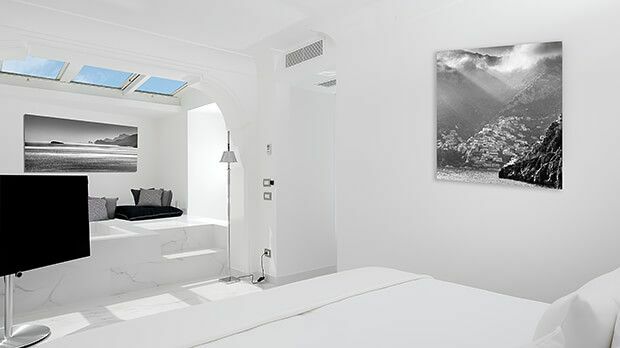 Each of the calming, minimalist guest accommodations comes with a balcony overlooking the dramatic coastline or narrow streets of Positano. 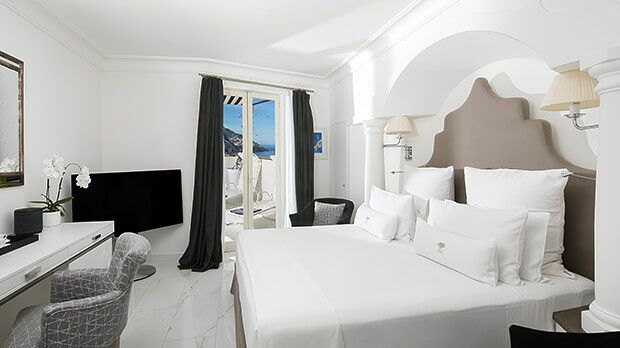 Modern conveniences such as air conditioning, flat screen TVs and complimentary Wi-Fi are very much welcome, while Italian marble bathrooms lend a decadent touch. Villa Franca's rooftop swimming pool is one of the town's trendiest hangouts, boasting breathtaking 360-degree views as well as ample lounging space. Closer to earth, there's an ocean-themed spa, a Turkish bath and a well stocked fitness center. 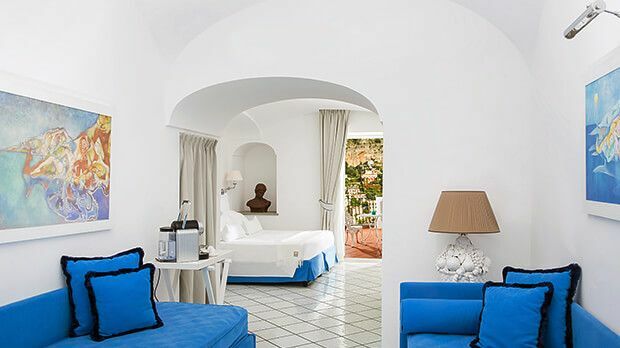 Food and drink is taken seriously on the Amalfi Coast, and Villa Franca offers a choice of gourmet restaurants. For casual fare, sit down for a pool-side bite at Li Galli Grill, perched on a scenic terrace above the town. Sophisticated dining awaits at Li Galli Restaurant, where prized regional ingredients are used to craft imaginative dishes. Send an availability request with your requested dates to the Villa Franca.